After wage growth slipped to 2.5% in the three months to May 2018, all eyes turned to UK inflation in June. It had been expected to jump to 2.6% from 2.4% the month before, but it surprisingly held steady at 2.4%. While this is good news for British households, it had the effect of diminishing expectations of an interest rate rise in August. Indeed, when you take the inflation data and couple it with the slowdown in wage growth, it is pretty difficult for the Bank of England to justify hiking rates next month. Of course, there is no way of knowing and policymakers might well point towards evidence of a recovering UK economy. The Office for National Statistics recently reported that GDP increased by 0.3% in May from 0.2% the month before and it is possible the recovery could continue throughout 2018. Still, investors did not take kindly to the news and sterling spiralled against the euro and dollar. This sent sterling spiralling and it hit its lowest mark against the euro since March 2018, while against the dollar, it fell to a level last seen in September 2017. It just goes to show how even the experts can’t get it right all the time. There was a clear consensus among analysts that inflation would increase to 2.6%, but when it held steady it produced a rippled effect that filtered through to the currency markets. We would never claim to know what is going to happen from one day to the next, but we know that putting currency risk management strategies in place is the sensible option. Removing uncertainty removes risk and removing risk protects your budget, margins and profits. Far better to leave the speculation to investors and concentrate on safeguarding your business against nasty surprises like the one we saw yesterday. The last few days have been especially hectic from a political and economic standpoint. As such, our forecasts have had to undergo several rewrites to keep abreast of developments. The current climate means that whatever we write is bound to be made redundant within a day or so, but sometimes you just have to draw a line in the sand. With that in mind, we are putting the final touches to them and they will be available for you to download very soon indeed. Until then, why not refer a business to us and earn yourself a £50 Amazon voucher in the process? Sterling fell to its lowest mark against the dollar since September 2017 yesterday. The slide came following the news that inflation held steady in June. 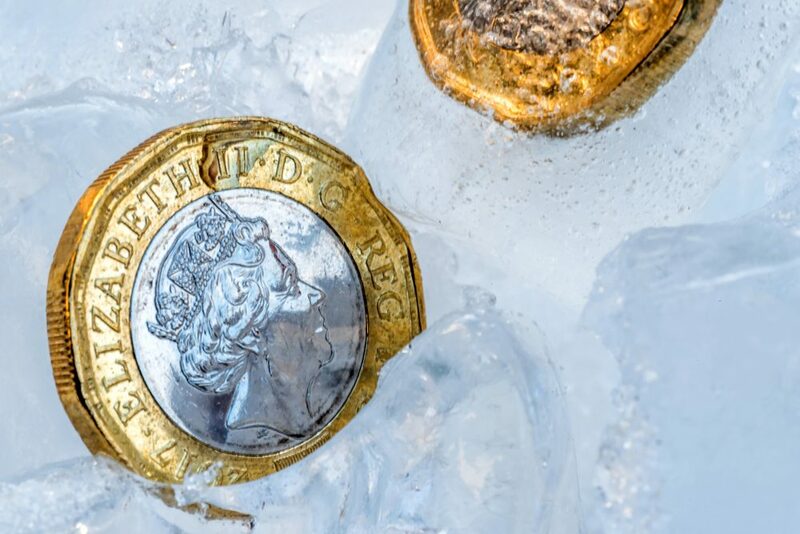 It had been expected to jump to 2.6% from 2.4% the month before, which would have supported expectations that the BoE would increase interest rates when it convenes in August. With inflation at 2.4% and wage growth slowing, it is becoming increasingly difficult for the central bank to justify hiking rates. Today we will see retail sales data for June which are expected to have dipped from the month before. If that proves to be the case then we could see some further sterling weakness. To boost expectations of a rate hike in August, we need some extremely positive data from the UK and evidence that the economy is faring better than previously thought. Yesterday’s events serve to highlight how quickly things can change and why removing the inherent risks of having foreign currency exposure makes sense – especially in the times we are currently living in. In stark contrast to the UK’s inflation rate release, the eurozone’s did as expected and crept up to 2% in June from 1.9% the month before. This is the highest it has been for 16 months, with the main reasons being an increase in the price of energy and food. Services prices rose at a softer pace. The euro moved sideways against the dollar throughout the day, but it made some healthy gains against sterling, as the surprising inflation data from the UK diminished expectations of an interest rate rise in August. Construction output for May climbed to 1.8% from an upwardly revised 1.2% the month before which is some much-needed positive data from the eurozone. It is the highest growth for four months. Today there are no major economic releases from the eurozone so any movements in the single currency will likely be caused by events elsewhere. The dollar climbed to its highest level against the pound since September 2017 yesterday, following some surprising inflation rate data from the UK. However, there was some surprising data from the US too, as building permits in June decreased by 2.2% when they had been expected to increase by 2.2%. Mortgage applications decreased by 2.5%, while housing starts suffered their biggest drop since November 2016. Still, the data wasn’t enough to make the dollar slide. Federal Reserve Chair Jerome Powell gave his second day of testimony to Congress, where he discussed the current trade situation. He said that rising world protectionism would pose a risk to the US over time. Still, Powell could have been more damning of Trump’s trade policies, as he steered clear of direct criticism of the man who appointed him. Today we will see initial jobless claims up to 14 July 2018, but otherwise, it is a fairly quiet day on the economic data front.